The National Conference of State Legislatures has approved a resolution urging that the Controlled Substances Act should be amended to remove cannabis. The Uniform Controlled Substances Act is the federal law of the land when it comes to cannabis, and every other “street drug” out there. Of course, those of us who have bothered to inform ourselves know that this beneficial herb belongs nowhere near any such list, never mind stop it on Schedule I, considered the most dangerous category of all. But in a bit of good news, cracks have begun to appear in the edifice of federal cannabis prohibition. The National Conference of State Legislatures (NCSL) on Monday approved a resolution urging that the Controlled Substances Act should be amended to completely remove cannabis. 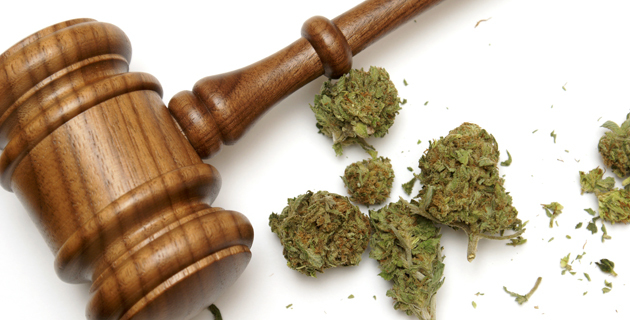 According to the NCSL, cannabis should be removed from scheduling in order to give federally approved banks the ability to work with marijuana businesses. This would also allow states to determine their own cannabis policies without the threat of federal interference. For a resolution to pass, it must be supported by a majority of participating legislators in each of 75 percent of the states represented at the conference’s general business meeting. Twenty-nine states, the District of Columbia, and the U.S. territories of Guam and Puerto Rico have enacted effective medical marijuana laws. Cannabis is legal and regulated for adults in eight states – all of which also have medical marijuana laws – and adult possession and limited home cultivation is also legal in the District of Columbia. State legislators and the vast majority of voters agree that marijuana policy should be left to the states. Legitimate, taxpaying marijuana businesses should not have to face the difficulties of operating on a cash-only basis. Allowing banks to offer them financial services will be good for the industry and benefit public safety. Even more so, states should not have to worry about the federal government interfering with their marijuana policy choices. The full resolution can be found online here.